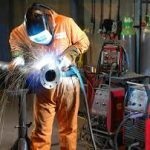 APN Recruitment are currently looking for a Trainee Welder to work in Redditch, Worcestershire. For this entry level position, we are offering training. Our client is looking for a Trainee Welder to join a busy and experienced manufacturing team, we will offer full training for this entry level position.